How many hours a week do you spend on curating the most relevant and interesting content about your industry? Does managing all your campaigns and data reports take up too much time? What about keeping an eye on the performance of every ad? Scheduling social media posts for your various social media channels? We marketers can have so many things to do that take up too much of our time. But did you know that you can automate most of these routine tasks? There are many tools you can use to streamline various aspects of your marketing, from managing your brand’s online reputation to running email campaigns. Here are 56 marketing tools that can make your life easier, so that you can concentrate on higher-level tasks like crafting your campaign strategy. Whether it’s searching for a story to share or figuring out how to adjust your ad campaign, social media management can consume plenty of time. It may also get confusing when running multiple campaigns and testing various ad creative assets. An automation tool can save you numerous hours and optimize your marketing efforts with data-driven insights. Social media management automation tools can automate post scheduling, sharing, re-posting, and curation. Many also have built-in analytics to assess post performance and audience response. Simplify your social media posting schedule with AgoraPulse’s multi-platform management tool. It lets you publish content and reply to comments on different social channels using just one tool. It also has an ‘instant reports’ feature, monitors media mentions, and provides audience insights. 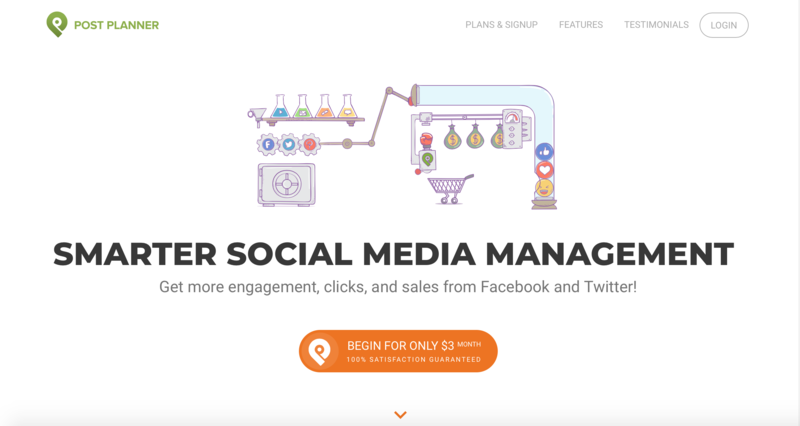 From post scheduling to analytics, Buffer lets you save time on social media management. It collates all your social media conversations in one inbox and allows you to add different access levels for your team members. CoSchedule shows you all your social media marketing campaigns in one workflow, letting you and your team get on the same page on how your campaigns are doing. It also comes with ReQueue, an automation tool for re-posting your best-performing social media messages. Like AgoraPulse and Buffer, Crowdfire lets you schedule posts, manage social media accounts, monitor social media mentions, and gain insights into performance. One unique Crowdfire feature is automated content and image curation for social media sharing. All you need to do is type in the name of an RSS feed, and Crowdfire does the rest. Apart from social media networks, Dlvr.it also automatically posts messages to Slack. It saves you time by letting you bulk-schedule posts, as well as by automatically recycling old posts and automatically sharing content from RSS feeds to your social media pages. Enterprises like Coca-Cola, Toyota and McDonald’s use Falcon, a social media management platform that lets you sync your social, online, and offline marketing activities in one calendar. It also automates the monitoring of hot topics and brand mentions on social media, and flags the most important messages in your social inbox based on factors like sentiment. Post Planner combines a content recommendation engine with a post planner and scheduler to save marketers time spent on finding and posting social media posts. Endorsed by none other than Guy Kawasaki, it works on a variety of social media channels, including YouTube and Pinterest. SocialAlert focuses on a simple but important aspect of social media marketing--tracking hashtags and hashtag campaigns. It works on Instagram, Facebook and Twitter, helping you keep track of hashtag-related data like top mentions and active users. The makers of SocialPilot claim that more than 85,000 professionals use their software for social media management, posting and engagement, as well as for performance analysis. These users include the likes of Samsung, Amazon, and Ernst & Young. The tool also lets you produce white label reports on campaign results--perfect for agencies that manage social media on behalf of other companies. With more than 25,000 customers around the world, Sprout Social lets you manage and analyze social media campaigns across six networks—Instagram, Facebook, Google+, LinkedIn, Pinterest, and Twitter. It offers varied functionalities depending on whether the user is a small business, an enterprise, or an agency. Anyone who’s tried running a Facebook ad knows just how time-consuming it can be. You have to constantly monitor the campaign to make sure you’re spending your budget wisely. These tools can help automate ad targeting, monitoring, and optimization. With PageModo, Facebook advertisers can collect leads with custom tabs and contests, simplify audience targeting, re-use campaigns and apply consistent visual branding across different ads, posts, messages and cover photos. To help marketers make the most out of their advertising budget, Revealbot optimizes Facebook ads by automatically adjusting ad budgets and bids. It can also pause, start, and duplicate campaigns. The tool focuses on improving Return On Ad Spend (ROAS) by making it a conditional metric on Facebook ad rules. That’s welcome news for both companies and agencies that need to prove every dollar’s worth on social media. Facebook advertising can get complicated, so Zalster focuses on simplifying it. It uses automated algorithms to optimize Facebook ad campaigns, such as by implementing rules to stop underperforming ads or to adjust budgets for bids. It also simplifies ad analytics by focusing on metrics that matter, such as results and cost per result. 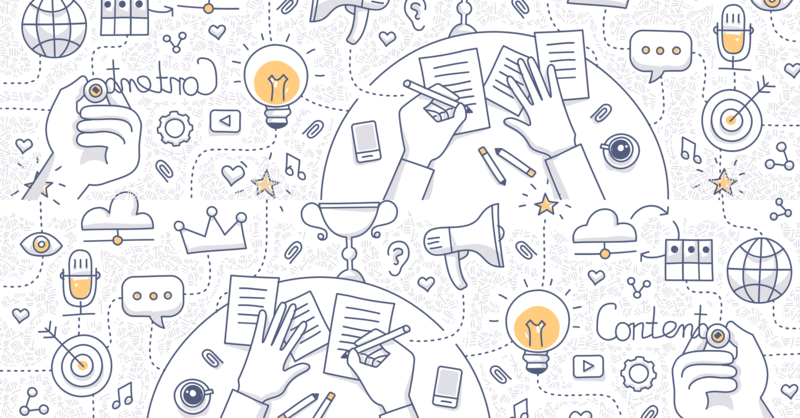 How do you develop and run an effective content marketing campaign? It takes insight into audience personas, constant monitoring of relevant news and trends, and coordination with different publishers. With tools that automate tasks like audience persona building, content curation, and promoting native ads or sponsored content, you can focus more on creating high-quality content. One of the first steps to creating an effective content marketing strategy is knowing your audience. By automating audience analysis, segmentation, and targeting, you can create and run content marketing campaigns tailored to specific audiences. With Audiense, you can identify audience segments based on their interests and demographics, and gain insight into the most effective media channels to engage them. HubSpot’s Make My Persona makes it easy for you to create customer profiles. You answer some questions about your target customers, such as age, industry, and job title. It then produces a suitable persona profile, complete with an avatar. Using advanced predictive models, Persona Creator (currently in beta test) identified the characteristics of people who are most likely to become your customers and brand supporters. It also lets you compare the psychographics of the audiences of more than 8,000 brands, as well as analyze 200,000 customer attributes. SocialBakers uses AI to define your buyer personas across various online marketing channels. It identifies the content that your audience personas like and the influencers they follow. This helps you tailor the topics, style, and format of your content to your audience’s preferences, and choose the most relevant influencers. With these automation tools, say goodbye to hours of scouring the web for interesting articles and trying to spot the next trending thing before your competitor does. 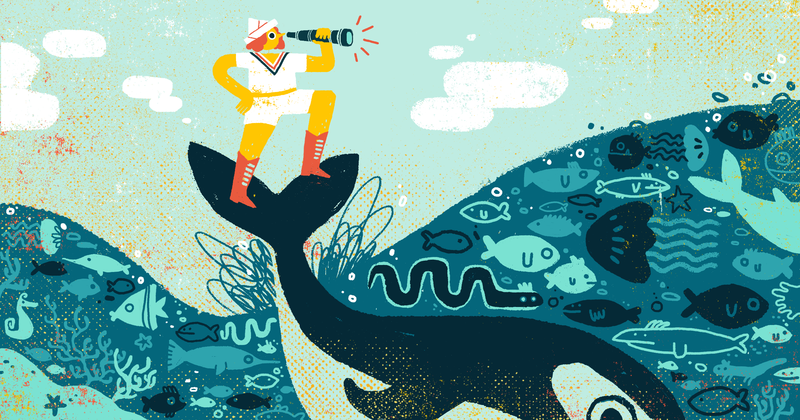 Used by the liked of IBM, Hubspot, and National Geographic, Buzzsumo lets you discover and curate content that resonates across your industry within seconds. It also shows trending topics and a summary of social shares for trending articles. Its analytics feature reveals which content types and topics resonate with your audiences across different social media networks. Curata simplifies and speeds up the task of finding relevant and shareable content with the use of machine learning. The software scours the web for keywords, news sources, authors, bookmarked or shared content, and more. It also integrates with content management systems and marketing automation tools, and comes with its own blog publishing feature. Feedly doesn’t just let you keep track of news, blogs, videos and tweets that matter to you. It also lets you share these with your team via Evernote, OneNote, Trello, and Slack. Automate content curation and publishing on websites, blogs, newsletters, and social media pages with Scoop.it. Scoop.it offers a variety of features, such as creating web pages based on curated content from your favourite sources within mere minutes. It also lets you generate internal content-driven email newsletters with a few clicks. ScribbleLive promises that it will help you “discover popular and trending content before it goes mainstream”. It achieves this with an AI-powered predictive market and trend intelligence tool. ScribbleLive monitors trending content, topics, influencers, hashtags, and provides real-time updates from your selected social channels. It also integrates with dozens of online tools. Native ads are an important part of the marketing mix as they match the look and format of the media in which they’re published. Use automation tools to eliminate the manual work of selecting sites and apps for publication and ad placement. It’s easier to scale your native ads with Brax, a tool that lets you manage various native advertising campaigns and platforms in one place. It helps you bulk-manage A/B tests and budgets, and track ad performance and KPIs. Its analytics feature helps you attribute results to specific content and publishers. It only takes a four-step launch process to create a native ad with Outbrain, which places your content on relevant websites and platforms. It offers a range of targeting options and optimization features to help you promote your product pages, blog posts, videos, third party reviews and more. Instead of spending so much time sifting through every possible programmatic and direct channel where you can publish your native ads, you can use Taboola to automate your placements with premium publishers. Taboola also weeds out untrustworthy and fraudulent websites, so you can have peace of mind that your native ads appear only in safe environments. Want to get better returns on your email marketing? Don’t just send your list newsletters and updates! Segment your list according to their interests or location and send each segment personalized content. Use email to qualify your leads and identify those that are ready to speak to sales. Don’t forget to use analytics to identify the types of emails that work best (and the ones that don’t). Make your email and newsletters more effective by sending different messages to your contacts based on their interests and locations. You can do this with ActiveCampaign, which lets you segment your contacts, set up an automated email workflow, and personalize the messages you send. ConstantContact has mobile-optimized templates that can be customized to your brand’s visual scheme. You can also learn which emails resonate with your contacts and compare different email campaigns. ConvertKit lets you personalize messages to your email subscribers by organizing them according to their interests, location, and other data points. It also comes with a feature that automatically creates a broadcast to deliver blog posts to your audience. Drip offers content customization, audience segmentation, analytics, e-commerce tracking, and workflow automation. It even has a builder tool that makes it easy to create visually driven emails. 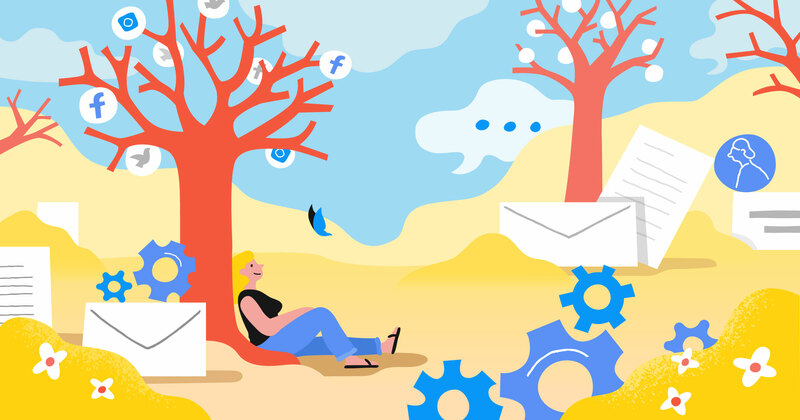 Mailchimp offers a wide array of features, such as detailed reports on email performance, drag-and-drop email builders, personalized templates, and integration with RSS feeds. This lets you make emails look better and do things like connecting your blog to your email newsletters to automatically send out updates on new posts. Mailchimp can also be integrated with CRM databases and e-commerce platforms, like Salesforce, Shopify, and WooCommerce. It’s time-consuming to manually qualify and engage with every single lead that comes your way. That’s why Saleswhale offers an AI sales assistant to ease your marketing and sales teams’ workload. By holding email conversations with your leads, Saleswhale’s AI assistant identifies those that are most sales-ready and passes them on to the sales team to close the deals. Used by more than 12,000 clients in 80 countries, SendLoop aims to simplify email marketing for any type of business. You can duplicate campaigns and get in-depth performance reports. You can also integrate SendLoop with more than 1,000 third-party services, including Zapier, Salesforce, Typeform, and Pipedrive. To retain customers, marketers tend to use reward programs and encourage feedback. But without data, it’s difficult to track who’s using the rewards and who isn’t taking advantage of them at all. Plus, it can take hours to manually search the web for customer feedback and reviews and tally your overall online ratings. To automate such tasks, consider using some of the tools in this section. With the help of loyalty management automation tools that come with marketing features and data-driven insights, you can run loyalty programs that your customers enjoy. Engage your customers by building loyalty currency partnerships and maximising loyalty participation through Currency Alliance. This tool also helps you create customer profiles and automatically sends clients targeted promotional messages in real time, such as when they are near the store of a loyalty partner. With Perx, you can leverage your customer data to create personalized rewards programs. Perx uses machine learning algorithms to target customers according to their behavioral data patterns. It also offers real-time performance reports of loyalty campaigns. Run a loyalty program on par with that of major brands with TapMango. After a 30-minute setup, you’ll gain access to a marketing portal for loyalty rewards, a customer-facing tablet with an interface you can customize, your own branded mobile app, and key tags that double as gift cards. All these work together as a system that helps you gamify your loyalty program and keep track of your customers’ responses. Use tools to automatically capture customer feedback at different touchpoints, such as in different parts of your website or app. Learn how happy (or not) your customers are with Client Heartbeat, a tool that lets you create simple surveys, generate testimonials, and display and share a testimonial widget on your site. Client Heartbeat can be synced with customer data on your CRM. It can also measure changes in customer satisfaction over a period of time, and compare your performance with industry benchmarks. We want our customers to become brand advocates and promoters. Using Promoter’s Net Promoter System, marketing teams can capture customer feedback and even predict customer behavior based on trending keywords and sentiment analysis. This can help you retain customer segments that appear to be on the verge of switching to a different brand. Understand why customers act the way they do with Qualaroo’s decision analysis feature. For example, it can give you insight into why a certain customer segment tends to use your app for two weeks then goes dormant. Qualaroo gathers this information by asking questions tailored to the actions your customers have taken on your site or app, as well as to the referring URL or campaign that led them there. It also uses a sentiment analysis tool powered by IBM Watson. 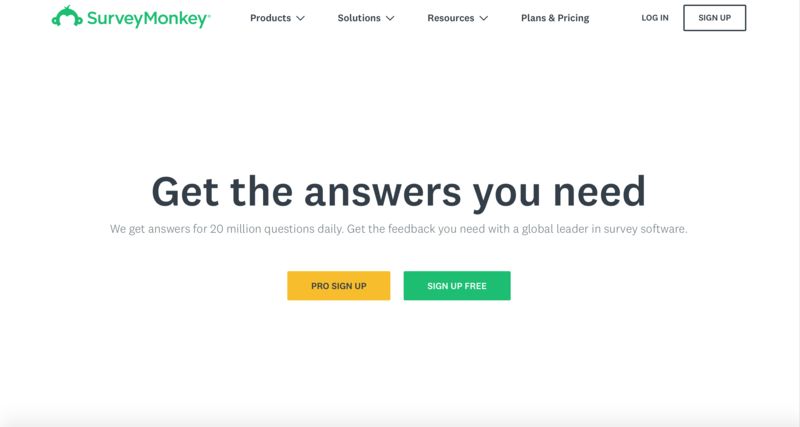 SurveyMonkey is a popular survey tool that helps companies worldwide get answers to around 20 million questions daily. Apart from building surveys, the tool also offers a secure survey platform for larger companies and allows integration with various marketing automation, collaboration, analytics, and productivity software. Survicate claims to provide a complete toolkit for customer feedback. It gathers customer satisfaction data at different interaction points, from purchase to post-service request. It also lets you connect survey data to your business intelligence and CRM systems, enabling better analytics and allowing you to monitor customers’ satisfaction rates. Keep track of your business’ reviews all across the Internet without spending hours searching through every social media network and review site. Advocately automates review generation campaigns via email and print. It also comes with an analytics tool that helps marketers measure the ROI of reviews for their business. Appbot lets you monitor and analyze app reviews from Amazon, iTunes, Google Play, and Windows. Used by top-charting apps like PayPal, Pinterest, and The New York Times, it provides visibility into app performance across different platforms. It also analyzes reviews according to topics, sentiment, and trends. Multi-location businesses can streamline their management of online reviews by using LocalClarity, which offers a single dashboard for monitoring, analyzing, and responding to reviews in real time. It integrates with Google My Business, Facebook, Yelp, TripAdvisor, Booking, and more sites to automatically pull in reviews and ratings. With Optimum Feedback, you can monitor reviews from different sources using a single dashboard. You get alerts whenever your business receives negative feedback, allowing you to control the damage by responding and resolving issues swiftly. Optimum Feedback also offers a sentiment-based marketing feature, which lets you send different messages to groups of customers depending on how they feel about your business. Pozative sends a text message to customers as they leave your business to encourage them to give you a review online. It identifies negative feedback and sends this to your email directly instead of posting it online, allowing you to deal with the situation privately. Understand customer experience trends with the help of ReviewTrackers’ machine-learning function. It analyzes keywords that frequently appear in your reviews and classifies them as positive, negative, or mixed. It also comes with a dashboard with an overview of your average rating over a period of months, as well as total reviews, response rate, and average response time. Some marketers use many disparate tools to manage all their marketing, so their data and numbers are all over the place, and they don't have an overall sense of how their marketing is doing. Marketing automation solves that problem by letting you keep track of your marketing in one place. Here are some marketing automation tools you can consider. Automating the entire customer journey becomes intuitive with the help of Autopilot’s visually driven software. No coding is required for designing and building customer journeys, as templates are provided. Autopilot covers activities from the top to the bottom of the marketing funnel, including lead capture, email marketing, social media posting, and analysis. Emfluence prides itself in having a platform that’s built not just for marketers, but also by marketers. It offers a drag-and-drop workflow builder, email marketing automation, website tracking, and social media management. It also allows you to build landing pages, forms, surveys, calendars, modals, and lightboxes. Thanks to its inbound marketing blogs and courses, HubSpot needs no introduction among online marketers. Its CRM lets marketers understand customer responses across blogs, emails, and social media. It can sync customer information across marketing, sales and customer service hubs, allowing these different teams to work together across the customer journey. Powered by AI, IBM Watson Marketing enables marketers to design and automate multi-channel marketing campaigns. Its smart assistant, Watson, uses behavioral data to optimize campaigns across email, web, mobile push, SMS, social, group messaging, and more. From finding customers to delighting them, Marketo makes it easy to build and scale automated marketing campaigns even without support from IT teams. Its features include lead management, email marketing, and marketing to different customer groups. Pardot streamlines lead management, including lead generation, qualification, and nurturing. It helps you build and automate email marketing workflows and align your marketing campaigns with sales efforts. It also provides detailed campaign performance reports so you can track the ROI of individual marketing assets. 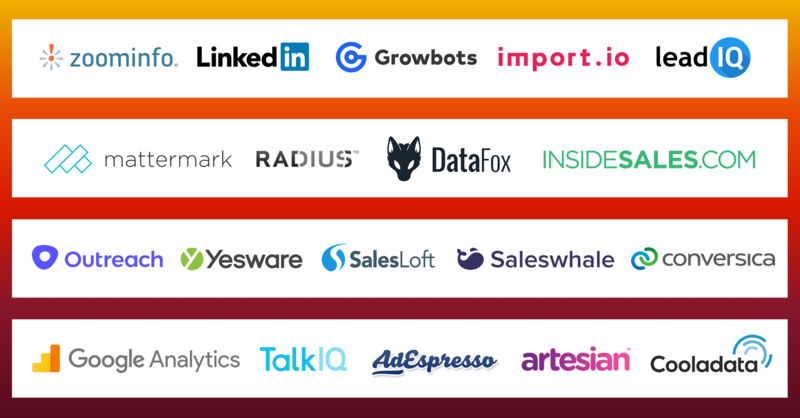 Whether you’re a B2B or B2C marketer, you’ll find SalesPanda useful for tracking leads and nurturing them as they go down the marketing funnel. Big businesses will find its digital automation for channels feature useful, as it allows them to build micro-sites and apps for partners and different business channels. SalesPanda also comes with a CRM and a content management system, and lets you build forms and landing pages. With Vbout, marketers can capture leads through landing pages, forms, dynamic pop-ups, and API integrations with other apps and platforms. They can then nurture these leads with dynamic segmentation, scoring, email messages, and content tailored to customer journey stages. 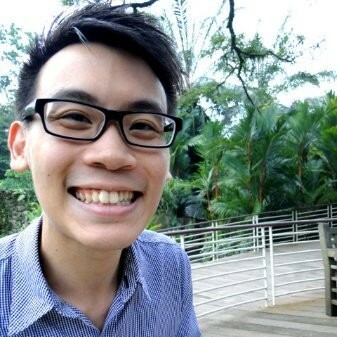 Vbout also helps businesses retain customers through conversion tracking, analytics, social media engagement, and user profiling. Run campaigns, capture and qualify leads, nurture them, and pass them on to sales—all without leaving the Zoho platform. Identify where your leads are coming from so you can optimize your marketing campaign efforts and learn what strategies work best. You can also measure campaigns with Zoho’s clear-cut ROI reports. It even comes with a business card reader so you won’t forget the contact details of potential customers you’ve met in person.